Things are tough for beginning guitarists, as it is hard for them to get their fingers scrunched together to make chords they cannot remember, and their fingers hurt like crazy for the first few months. 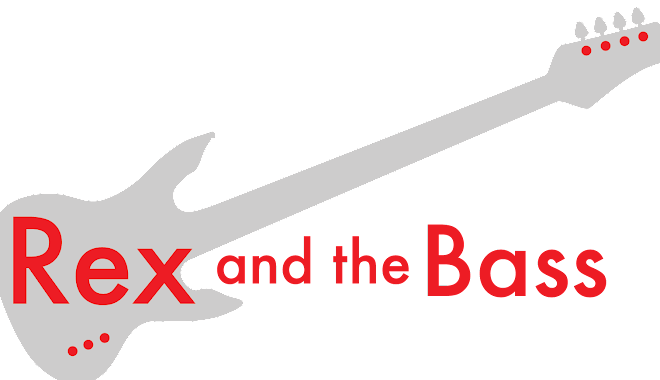 It seems like a crime that many entry-level guitars play like crap too, so these players think they are not doing well when part of the problem is the instrument itself. 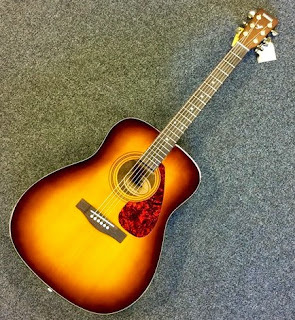 One answer to this might be the Yamaha F335 acoustic, which is a pretty good guitar for short money. 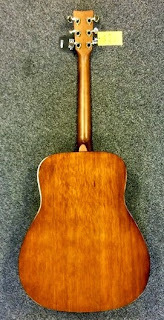 The woods are good enough, with a laminated spruce top and meranti back and sides, a wood from the South Pacific that is sort of like mahogany. Only the top is bound, which is not surprising at this price point. 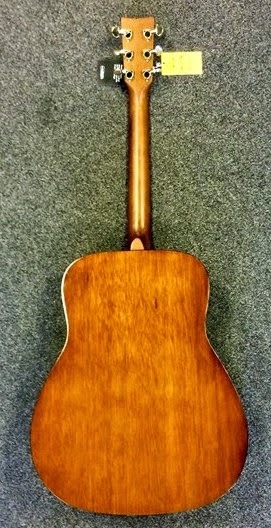 The fretboard and bridge are made of real rosewood, which is amazing when you consider that Gibson is using all kind of bizarre stuff for Les Paul fretboards instead of rosewood. The body is sprayed in a glossy Tobacco Brown Sunburst, which is probably my least favorite part of this guitar. It is a nauseating combination of hues, but fortunately there is a faux tortoiseshell pickguard to break things up a little bit. The kind of beefy neck is quite good, if you do not have small hands. It has a 1 11/16-inch wide nut and 20 frets (14 free) with a 25 ½-inch scale. The rosewood fretboard has simple dot and there is an adjustable trussrod. On one end there are sealed die-cast tuners (gold plated! ), and on the other end there is a compensated plastic bridge saddle. One bummer is that there is only one strap pin. Why do so many manufacturers only give you one? Anyway, this Yamaha is pretty well put together. The finish is a bit thick, with just a few imperfections here and there. Mostly there, actually. Intonation is good enough and the no-name tuners hold well. The nut is good and the frets are about as good as the ones that you will find on a new Gibson Les Paul (which is not saying much, I guess). This one came with a pretty darned high action, so fortunately the neck is adjustable. I was able to get it low enough on the first twelve frets, but after there it was still high, so I lowered the bridge a bit, and now it is a reasonably good player. Oh yeah, it also got fresh set of light gauge Martin strings when I did the set-up. That might have helped things a bit. It sounds good too, with a glorious amount of volume and it is fairly well balanced from string to string. 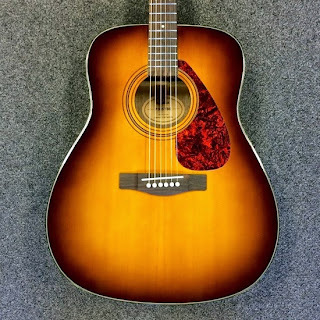 It has a warm tone too, making it a very pleasant sounding guitar. It turns out that I like it – go figure. 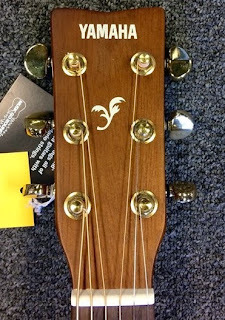 Buy one if you don’t have a lot of dough and want to get a playable acoustic that sounds good. I keep taking about what a good value the Yamaha F335 is, so how cheap is it? How does a list price $359.99, and street price of $130 sound to you? For this price you are not going to get a case, but you do get the Yamaha lifetime warranty. Check one out for yourself and see what you think!